Note: This blog entry contains spoilers for the second episode of the second season of Deadliest Warrior. I’m a big fan of Deadliest Warrior. It’s the best sort of silly television - a drunken pub conversation about whether a Roman gladiator could beat up an Apache, except in this pub conversation they bring in a champion knife fighter to throw the Apache’s knife, and then they get former UFC champion Chuck Liddell to punch a side of beef with a bladed boxing glove, and when they’ve done all that they feed some numbers into a computer, generate some ‘kill’ statistics, and get some stuntmen to play dress-up and act out the final fight. These final fights probably shouldn’t be taken too seriously. This is really a show about weapons, where they test the lethality of everything from katanas to flame-throwers against dead livestock and gel torsos. The big fight really just hangs the tests together. I don’t think a computer can really predict the outcome of a completely hypothetical fight. Even so, this week’s episode was a big disappointment. Actually, that’s not fair; this week’s episode was terrific, but the result was a disappointment. 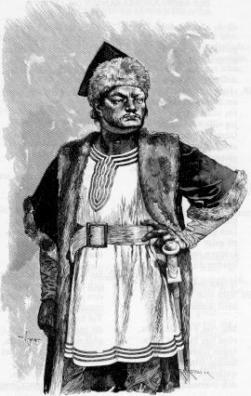 It was Attila the Hun (below) versus Alexander the Great. Usually the show picks classes of warrior, not individuals, but they’ve gone down the historical figure route before with William Wallace versus Shaka Zulu, and they’ll do it again several times this season. Now, Alexander is a bit of a personal obsession. I’ve read probably a dozen biographies of the man. I think he’s a fascinating character and a titanic military mind. So I’m obviously biased. Even so, I think this was an easy win for Alexander, and I thought I would be devastated if he lost. And then… he lost. And I was more disappointed than devastated - because I remain utterly confident that he wouldn’t have lost. He was the better combatant, the more brilliant tactician, the greater all-rounder. Unlike Attila, he was never defeated in battle - so it seems a bit presumptuous for a computer program to hand him a defeat when his enemies never could. 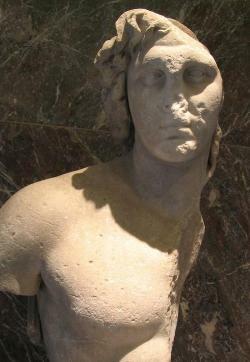 Alexander would not lose to Attila. Which means that this show - which I’m almost as obsessed with as I am with Alexander - got it wrong. They got it badly wrong. And it wasn’t all the computer’s fault. Here’s my pub conversation starter; ten reasons why Deadliest Warrior was wrong about Attila versus Alexander. We, the audience, don’t know what fancy algorithms drive the computer program that runs the fight simulations. We don’t even know how much data goes in. However, I’m willing to bet there isn’t a field on their front-end for the personality profiles of famous dead people. Inputting the velocity of a spear is one thing; how do you tell a computer that Alexander was so fearless that he once threw himself behind enemy lines to force his army to surge after him? The computer isn’t running an Alexander simulation; it’s running a simulation on a generic Macedonian and a generic Hun. The show usually tests four weapons for each warrior. And sometimes it’s pretty obvious that they choose weapons not because they’re what the warrior would have chosen, but because they want to have a go with them. I’m sure the conversation at the production office for this one went; “Hey, we could test a ballista”; “Hell yes we could”. A ballista is a spear-chucking catapult. It’s an awesome machine - for siege warfare. Alexander was one of history’s greatest practitioners of siegecraft. But he was also a brilliant tactician, and a master of choosing the right tool for the job, and in a direct fight againt a mounted opponent, he would never have relied on a catapault. 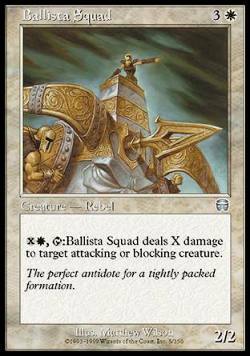 The ballista scored seven kills out of a thousand simulations. It was a terrible choice. Of Alexander’s other three weapons, two performed very well. His spear racked up 225 kills in a thousand simulations. His sword got another 120. These two weapons got more kills than three out of four of Attila’s. But for his fourth weapon, Attila got a Hunnic compound bow, while Alexander got something called a belly bow - a slow-loading, awkward-to-aim giant crossbow that’s held against the archer’s belly. Here’s an interesting thing about Alexander’s army; they had the same bows as the Huns! The show called these composite bows Hunnic bows, but they’re actually Scythian bows, and Alexander used Scythian archers. Now, I don’t know if Alexander often carried a bow, but he was a huntsman, so he’d have used one if it were appropriate. If you’re going to give him a bow, you wouldn’t give him a belly bow, which he couldn’t use on horseback - you’d give him a Scythian bow. Attila wore light armour because he thought it gave him better mobility. Fine; but it didn’t give him much protection. The episode showed us how badly Attila’s armour fared against a Macedonian spear, and how well Alexander’s helmet fared against the Hun’s axe. What we didn’t see was how well either armour fared against arrows or swords, and that leaves a huge hole in the data. If they didn’t run those tests and include that data, the simulation is meaningless. Attila’s inferior sword would have bounced off Alexander’s armour. The show brought in another UFC fighter this week to test the killing potential of pankration, the martial art that Alexander was trained in all his life. It looked fairly deadly, proving that Alexander was a fearsome opponent even without a weapon in his hand. If the ballista could get seven kills, and even a blowgun could get four kills in a previous episode, and a lasso can get thirty, then pankration surely would get at least one, right? Nope. Despite testing it, I suspect they didn’t include it in their simulations. It’s almost as if they only brought the UFC guy in to cross-promote their show with one of the channel’s other most popular programmes! Crazy! OK, they never did fight, because they were almost eight centuries apart. But Alexander faced horsemen every bit as expert as the Huns, and enemies every bit as wily, and he defeated a cavalry much greater than Attila’s. Attila eventually went into retreat against a disciplined Roman field army that was nowhere near as formidable as Alexander’s. Alexander conquered the greatest empire of his age, and Attila… scored a stalemate against the declining great empire of his age. The show knew they weren’t an even match; just look at how it presented the two warriors in the reconstructed video clips. Alexander built an empire by defeating larger armies through tactical superiority. Attila built a smaller empire by shooting fleeing peasant women in the back. Advantage: Alexander (as narrator David Wenham might say). Of course, it all comes down to numbers. Take away Attila’s bow, and he scored 242 kills. Take away Alexander’s silly belly bow - and, for the hell of it, his ballista as well - and he scored 345 kills. Now, let’s give both men the composite bow and see how they fare. Assuming equal kills, Alexander wins. But let’s say that Attila was better with a bow, because it’s likely he was. Let’s give him 60% of the kills with a bow, and Alexander 40%. Then the number of kills is 510 to Alexander, and 490 to Attila. Alexander still wins. Then let’s give Alexander his armour. And let’s let him use his pankration if it comes to close combat. And let’s be crazy and give him a fourth useful weapon! Caltrops? Short sword? Or, hell, forget the weapon; let’s factor in the power of his legendary horse Bucephelas. I’d let Attila use his legendary horse as well, but apparently his horse wasn’t as famous. Perhaps the superior Hun horseman kept getting his horses killed? Put some serious data into this simulation, and the result is going to be very different. What I’m saying is, Alexander the Great didn’t lose this fight; Deadliest Warrior did. Right, it’s your round. I’ll have a bitter. What do you mean, I’m bitter enough already?